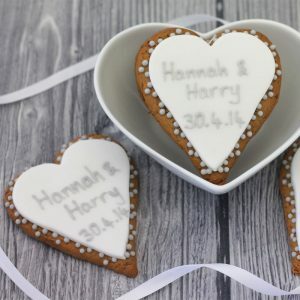 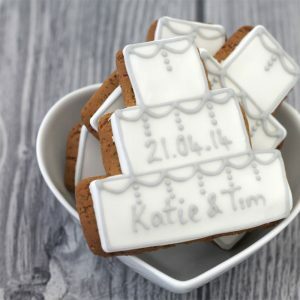 A set of 24 exquisite gingerbread heart wedding favours, personalised as a memento of your special day. 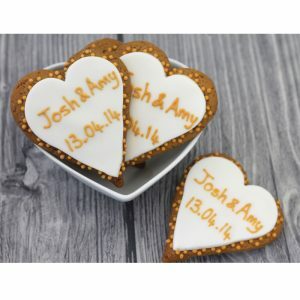 Each heart is hand iced with gold detailing including your personalised message before being individually wrapped in a clear cellophane bag and finished with a white organza ribbon. 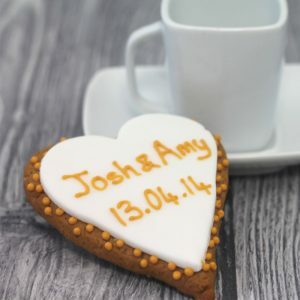 A pretty addition to your tables, guests will love this little treat. 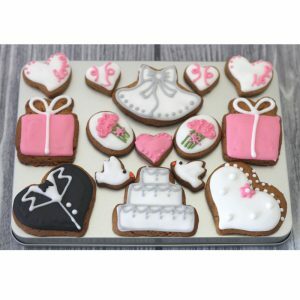 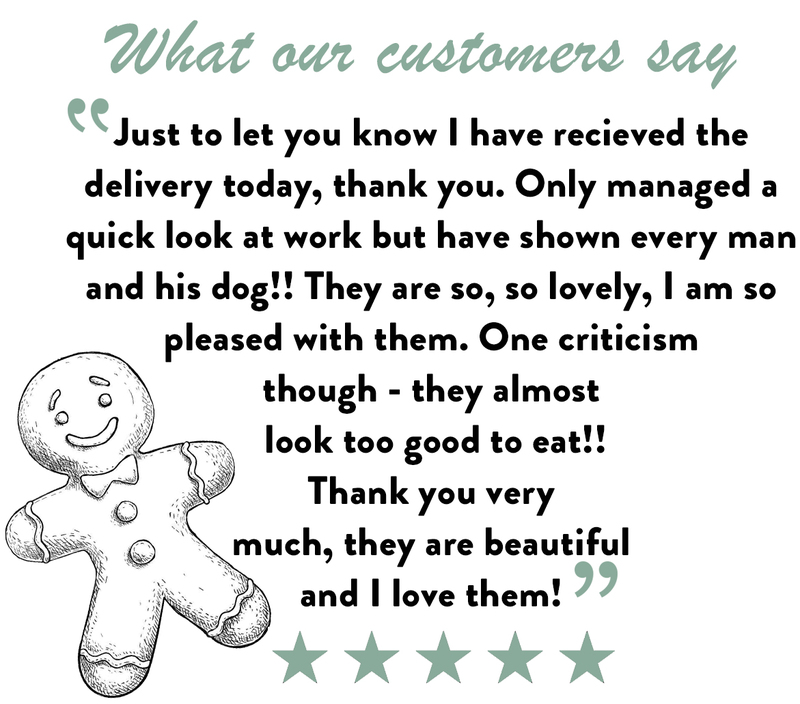 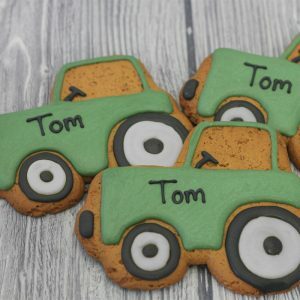 Gingerbread Ingredients: Wheat flour (WHEAT flour, calcium carbonate, iron, niacin, thiamin), sugar, vegetable oils (palm & rapeseed), partially inverted refiners syrup, ginger, spice, raising agent: sodium bicarbonate, SOYA flour. 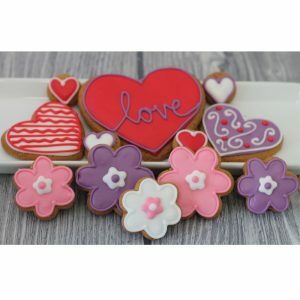 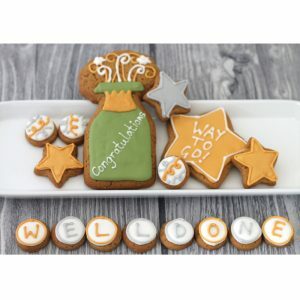 Decoration Ingredients: Sugar, dried glucose syrup, pasteurised free range EGG white, vegetable oils (palm & rapeseed), humectant: vegetable glycerine; cornflour, colours: E102, E155; stabiliser: xanthan gum, gum tragacanth; preservative: potassium sorbate.